MOSCOW, August 24. /TASS/. The US policy of putting pressure on Russia has crossed the "red line," and Moscow should think about an asymmetric response, such as the deployment of its tactical nuclear weapons abroad, a senior Russian lawmaker told TASS on Friday. 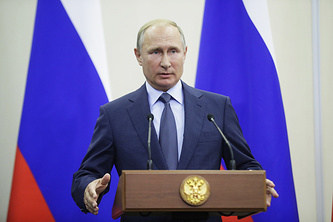 "I believe that now Russia has to draw its own ‘red lines.’ The time has come to ponder on variants of asymmetric response to the US, which are now being suggested by experts and are intended not only to offset their sanctions but also to do some retaliatory damage," said Vladimir Gutenev, the first deputy head of the economic policy committee of the State Duma, the lower chamber of the Russian parliament. Among such measures, the official named the deployment of Russian tactical nuclear weapons in other countries, such as Syria, the use of gold-linked cryptocurrencies for Russian arms exports and the suspension of a number of treaties with the United States, including on non-proliferation of missile technologies. "It’s no secret that serious pressure is being put on Russia, and it will only get worse. It is intended to deal a blow to defense cooperation, including defense exports. We see that the Americans now speak about the possibility of sanctions against the countries that purchase Russian weaponry… We should follow the advice of certain experts, who say that Russia should possibly suspend the implementation of treaties on non-proliferation of missile technologies, and also follow the US example and start deploying our tactical nuclear weapons in foreign countries. It is possible that Syria, where we have a well-protected airbase, may become one of those countries," Gutenev said. The lawmaker added that in order to respond to possible "US attempts to thwart deals on Russian weaponry and civilian goods," Russia should "consider the possibility of conducting transactions in cryptocurrencies that are linked to the value of gold." "And I’m sure that this will be a very interesting option for China, India, and other states as well," he said. According to Gutenev, the whole package of those measures "could become a very serious argument" in Russia’s favor. "In boxing, one cannot just dodge blows, but has to strike in response, too. Especially when all the rules have been violated and the referees - such as the WTO and other international institutions - prefer to stay silent," he said. 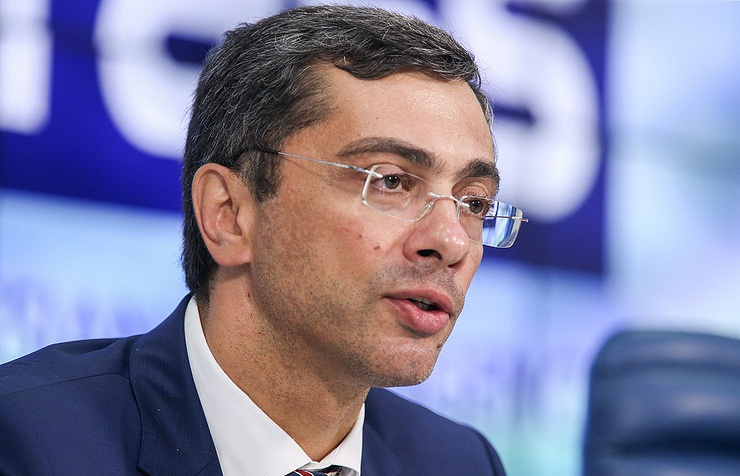 Commenting on sanctions that are already in place, Gutenev said they are unlikely to do serious damage to Russia’s defense industry. "The import substitution program has produced very good results, alternative suppliers have been found," he said. "However, we are concerned about the fact that the sanctions are still gaining momentum and have become somewhat imminent," he said. On Wednesday, August 22, Washington hit Russia with more sanctions over its alleged involvement in the March 4 poisoning of former GRU Colonel Sergei Skripal and his daughter Yulia in Salisbury, near London. The Department of State claims that Russia acts in breach of the Chemical and Biological Weapons Control and Warfare Elimination Act of 1991. As the US Department of State said on August 8, the first package of sanctions applies to dual use products, the export to Russia of all sensitive goods and know-how related with US national security and also electronics, components and technologies for the oil and gas industry. Alongside this, the act envisages the possibility of far harsher sanctions to be taken in three months’ time. The second package of restrictions envisages a downgrade of bilateral diplomatic relations or their complete suspension, an overall ban on the export of US goods to Russia except for foods and on the United States’ import of Russian goods, including oil and oil products, refusal of permission to any planes of Russian government-controlled air carriers to land in the United States and Washington’s veto on all loans to Moscow from international financial organizations. The US authorities said however they would not like to resort to the second phase of restrictions. For that Russia must present convincing arguments it will not violate international chemical weapons legislation and also permit onsite inspections by the United Nations and independent foreign observers in order to guarantee the government does not use chemical weapons in violation of international law. Sergei Skripal, 66, who had been convicted in Russia for spying for the UK but later swapped for Russian intelligence officers, and his daughter Yulia, 33, were found unconscious on a bench near the Maltings shopping center in Salisbury, England on March 4. Police said they were exposed to a nerve agent. Later on, London claimed that the Novichok-class toxin had been allegedly developed in Russia. The UK rushed to accuse Russia of being involved, while failing to furnish any evidence. Moscow refuted the accusations stating that neither the Soviet Union nor Russia had ever done research on that toxic chemical. Specialists from Britain’s army laboratory said later they were unable to identify the origin of the substance used to poison the Skripals.